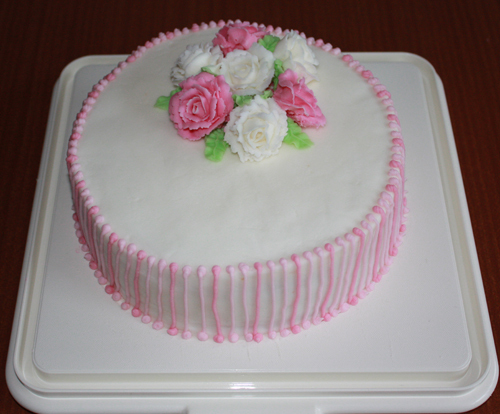 This was a chocolate cake with buttercream filling and fondant iced. 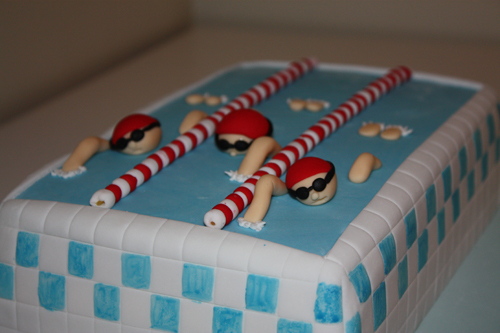 For a competitive swimmer turning 50. Butter cream all over, roses and stripes.